I admit it. I love technology and what it can do for us. I had a PDA* before PDAs were cool. (OK, they were never cool.) 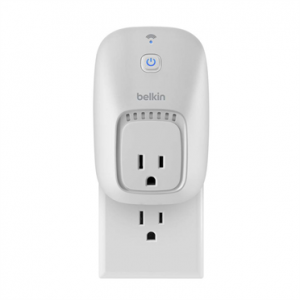 I am a huge fan of anything that can make my life run a little more smoothly, and I’m so excited about the emerging world of the Internet-connected home. 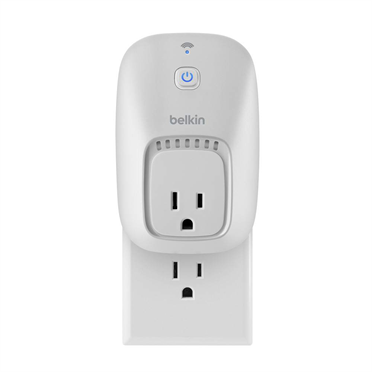 Two years ago, I bought a couple of WiFi-connected WeMo switches from Belkin. You plug these switches into a wall outlet, and then plug whatever you want to control into the switch. You control the switch with your smartphone, either directly or by setting up rules, such as turn the crock-pot on at 11 a.m.
As she frequently does, MM thought I was a little crazy to buy something like this sight-unseen. Fortunately, the switches worked as advertised, and I‘ve managed to give MM a glimpse of how an Internet-connected home might function. 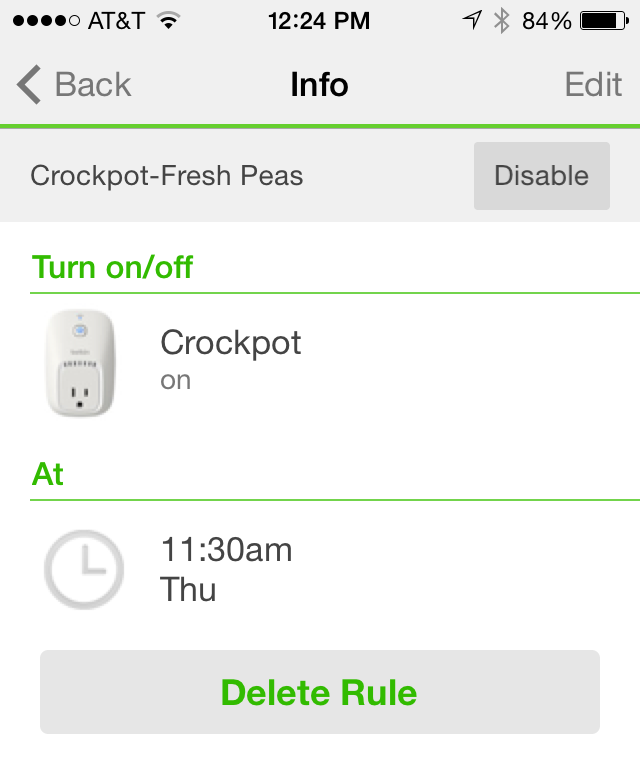 One way I’ve successfully used the WeMo switch is with the Crock-Pot. We use our Crock-Pot all the time, but usually for pot roast or dried beans — foods that can take all day to cook. It’s an old fashioned Crock-Pot that doesn’t have a timer. (We bought it in our poorer days.) Setting it to cook when we walk out the door in the morning is a recipe for mush if we’re cooking vegetarian and vegan dishes or fresh beans or peas. For example, a couple of weeks ago I set a pot of fresh (well, fresh-frozen) black-eyed peas to cook around 2 p.m., so that they would be ready by the time we got home from work. They were perfectly cooked. Creamy, but with enough structure that you could bite into them. Last year, Belkin announced an agreement with Jarden Corp., the company that makes small home appliances, including Mr. Coffee and (what do you know) Crock-Pot. 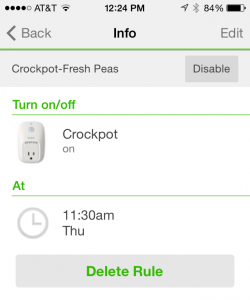 I told MM last year that they would be coming out with a Crock-Pot with a built-in WeMo switch. What did they announce at CES 2014? Yep! I can’t wait to get one! * Personal Digital Assistant aka Palm/Windows CE/, etc. My first PDA was a Windows CE device that was so big I carried it around inside a VHS tape case. Times have changed a lot since then. Or have they?